Faux Wood Blinds also known as Dura Wood Blinds combined the charm and elegance of real wood blinds and the durability, less maintenance and weather resistant of PVC (poly vinyl chloride) material. Faux Wood Blinds is just an imitation of real wood blinds. These blinds are made of vinyl materials or composite wood, making it more affordable compared to Wood Blinds. 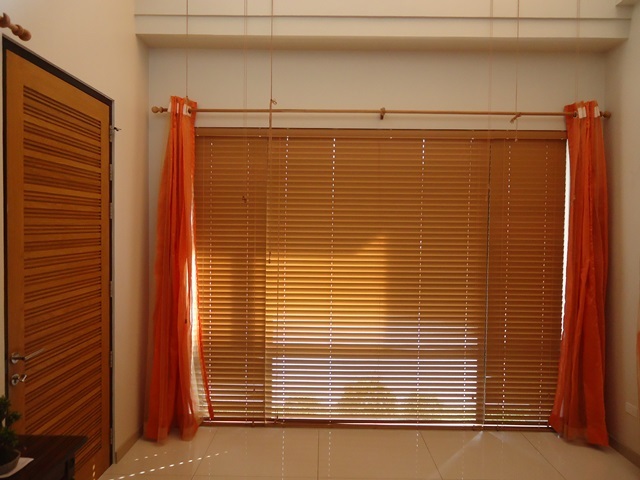 One of the residents in Manggahan, Pasig City, Philippines opted for custom-made Faux Wood Blinds from us, DS Windows & Walls Interior Supply. They had their newly built home and had a wood-like motif, which creates an elegant and chic home. To match their window dressing to their existing motif, they preferred to have Faux Wood Blinds with wood-like stain Faux Wood Blinds: Birch. Faux Wood Blinds is a great choice for steamy environments, severe heat, and high traffic rooms. This type of blinds is for long term use, they are easy to clean and in its very low price. 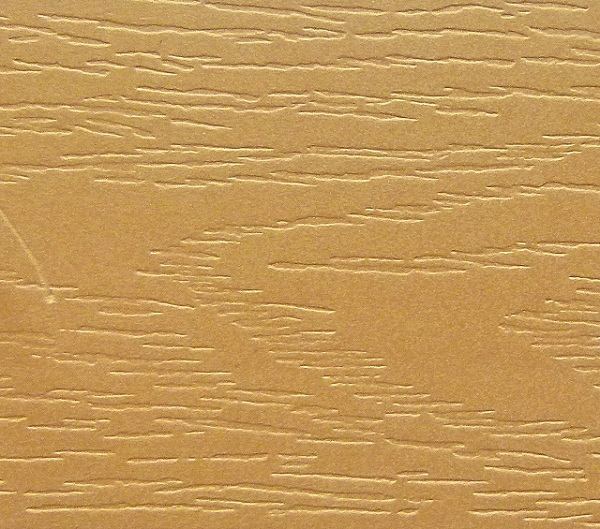 Faux Wood Blinds from DS Windows & Walls are in its 2 inches slat width and scratch resistant. 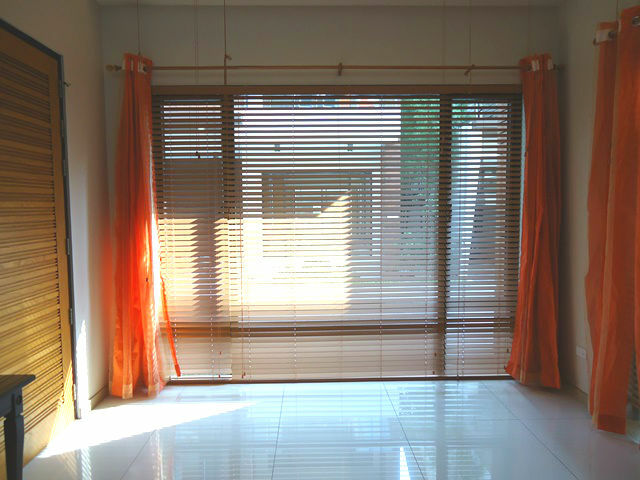 We offer different colors of Faux Wood Blinds and you may check it in our online web store www.angryblinds.com.ph. Our company also offers free site visit for measurement of windows if within Metro Manila. Just call us at (02) 893-1373 / (02) 403-3262 / 0916-311-3909 or email us at inquiry@dswindows.com. You can also visit our showrooms at 2nd level Pacific Mall, Lucena City, 3rd level Robinsons Metro East, Pasig City and 4th level Waltermart, Makati City.